We’re taught to reverence God. Rightfully so. But He also calls Himself our Father. And welcomes us with open arms, questions and all. Our God is so big, so loving, so gracious He can handle every question we have. God is not afraid of our questions. And He wasn’t afraid of Elijah’s either. Elijah lets it all out on God in that cave. 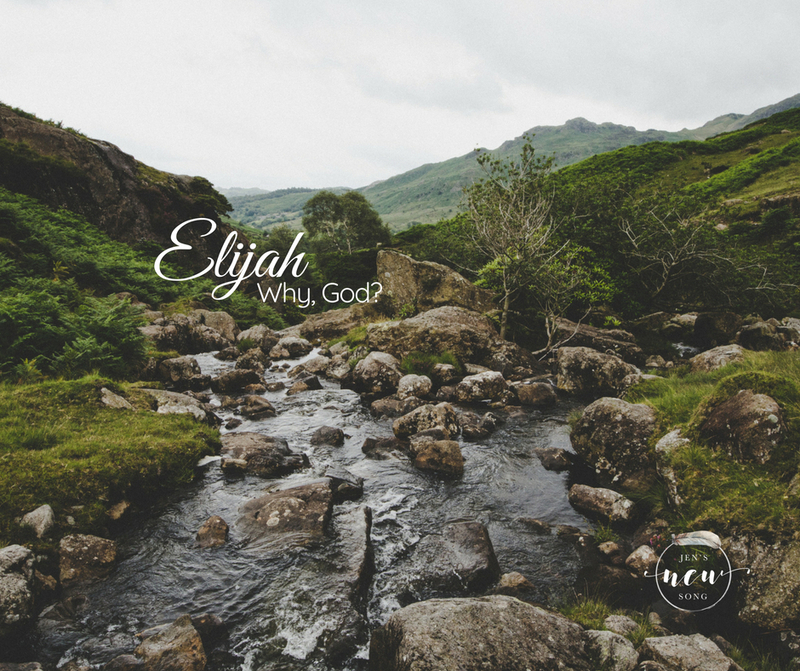 After that comforting still small voice, Elijah lets out his woes and basically says, “WHY?” to God. He’s questioning why God is allowing this to happen after he’s served God well. After he’s been faithful, standing alone. And now, he’s being hunted down. And he just doesn’t get it. So he lays it all on the table and just asks why. And what does God do? He answers Elijah. That’s it. No lightning. No wrath. Does He fill Elijah in on all the plans of the universe? No. Does He tell him the future and how everything is going to work out? No. He may not give all the answers of life, but He tells Elijah what he needs to be able to go on. God had brought Elijah out to the middle of the wilderness, reminded Elijah of who God was, let him have an honest conversation, and then God comforts him. He calms his fears. He tells Elijah that his enemies will be dealt with. He gives Elijah his next steps. And then He tells Elijah the most important part. That Elijah is not alone. There are seven thousand Israelites who had not bowed the knee to Baal. Maybe Elijah knew this already, maybe he didn’t. But he was in the place where he forgot what must be true. That God would take care of him. That God had a plan for his life. And that he was never alone. Out by that brook, Elijah’s depression was so bad that he couldn’t see the answers. Even the simple ones. Even the ones he should have known as a prophet of God. The ones we all know, but often forget. But instead of punishing him, God let Elijah have an honest conversation with Him and then reminded him. Reminded him of what he knew. Of what the answers to his - and our - most basic questions. Does God really know what He’s doing? Will He protect me? Will I be alone? In that still small voice, Elijah found the answers he needed. Or rather, was reminded of the answers he knew all along. That our God is good. And always by our side.